Summer tyres for small and compact cars continue to be popular. 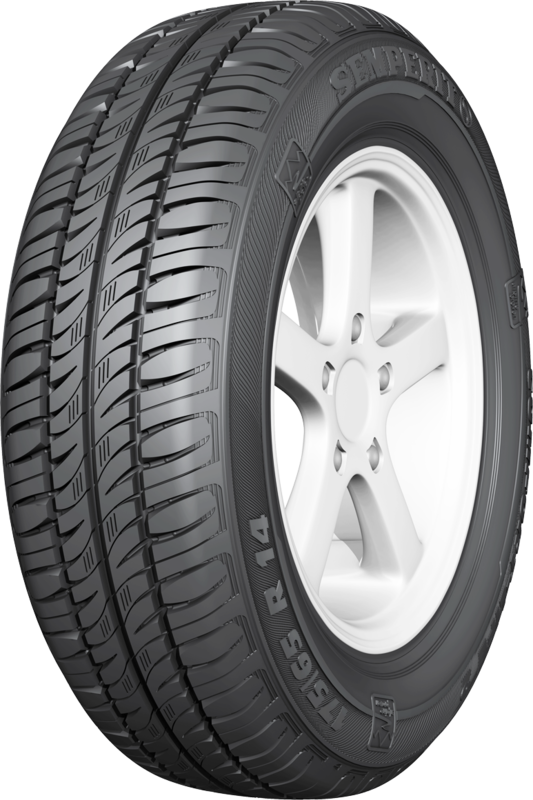 For tyre brand Semperit this was reason enough to keep focusing on development and launch a new car tyre - the Comfort-Life 2. Last year consumers in western Europe purchased some 46 million tyres for vehicles in these two categories. For Semperit the new model is therefore an important mainstay in a highly competitive market. The Comfort-Life 2 comes in a wide range of sizes with 47 products to choose from and approvals for speeds up to 210 km/h (131 mph) - certainly sufficient for small, nippy cars like the Smart, Lupo, Fiesta and Hyundai i 20. To ensure that the new Comfort-Life is successful on the market, the tyre developers at Semperit have improved its performance quite considerably versus its predecessor. Rolling resistance has been reduced by 6% and braking distances by up to 10%, whilst handling characteristics were further enhanced. Rolling noise, which is particularly audible for drivers of smaller, lightweight cars, was also cut by around 5%. For product manager Roman Gaebel, who wants his brand to convey an assurance of quality, these driving characteristics - which affect safety and economy - are key to the success of the new Comfort-Life 2. The 'alpine proven' trademark of these tyres, with their Austrian origins, underlines the fact that even under adverse weather conditions they offer safe driving characteristics on both wet and dry roads. There is fierce competition in the tyre market serving the small and compact car segment, with tyres being offered by European, American and Asian manufacturers ranging from 'premium' to 'very cheap'. Unknown brands have a tough time on this market and sales often rely on price rather than on the tyres' driving characteristics. However Semperit, the well-established Austrian brand, scores in terms of manufacturing quality as well as through its 'alpine proven' driving characteristics. After all, Semperit products are designed to perform safely, even in such adverse circumstances as changing weather conditions, poor stretches of road with limited visibility or situations where abrupt evasive manoeuvres are required.